Menage Total provides the best standards of Carpet Cleaning services in West Island. Menage Total modern methods of Carpet Shampooing remove dirt, stains, grit, sand, and allergens. Menage Total Dry Steam Cleaning system removes the deep down dirt that damages carpet fibers. Menage total proven methods of carpet and upholstery cleaning kill, remove or eliminate up to 93% of bacteria which flourish in carpets and upholstery. You may be used to day-to-day carpet vacuuming but that does not ensure a good health of your carpet. Professionally deep cleaning your carpet every 3 months is the right choice. With Menage Total efficient carpet cleaning system, your carpet is available to use in about few hours. Menage Total follows a step-wise carpet cleaning procedure for residential, industrial and corporate sectors: 1) Pre-spraying – breaks the long and hard accumulated dirt or sand 2) Scrubbing and Shampooing with powerful machines 3) Rinsing and water extraction with plain water – further wipes off stains and deep down dirt 4) Drying system – use of powerful vacuums to take off all moisture. Menage Total clients benefit from our ISO certified credibility. Menage Total uses Seal of Approval certified chemicals and equipment for on-spot carpet cleaning purpose. Menage Total cleaning products provide protection to both carpets and human health from chemical harshness. Menage Total received extraordinary feedback from our satisfied carpet cleaning clients. 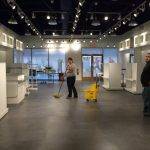 Among all other major areas of Building Cleaning, Glass Cleaning remains a prime expertise of Menage Total. Professional glass cleaning services by Menage Total adds to the newness of a buildings’ exterior. Glass Cleaning of tall buildings is a sensitive job, which is efficiently performed by our highly skilled workforce. Menage Total ensures safety measures like safety uniform and kits to avoid any unfavorable situation or accident. Menage Total ensures full responsibility of workers in case of an accident. 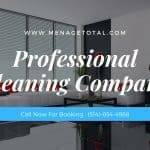 Menage Total maintains a reputed clientele in facade Cleaning Services, with a number of renowned corporate and industrial buildings in West Island. Professional glass & elevation cleaning services by Menage Total adds to the newness of a buildings’ exterior. Glass Cleaning of tall buildings is a sensitive job, which is efficiently performed by our highly skilled workforce. 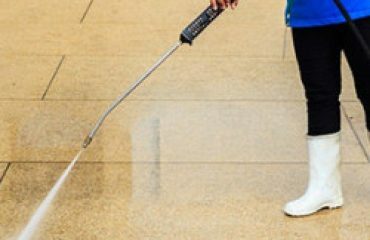 Menage Total’ contractual glass cleaning clients are satisfied with the safety measures, the efficiency of workers and the most customized work plan for their buildings. Menage Total Cleaning Services West Island recommends a suitable cleaning cycle considering client’s time and resources. 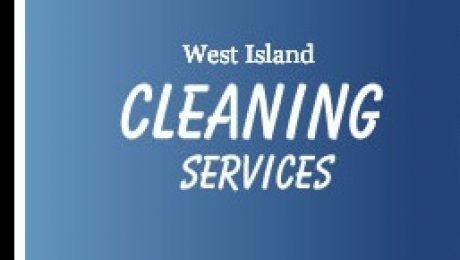 Menage Total Cleaning Services West Island ensures full responsibility of workers in case of an accident. 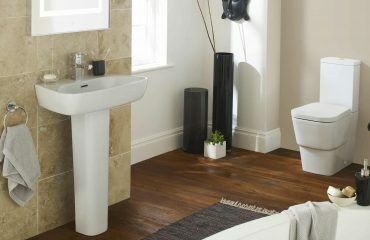 Menage Total takes care of your huge in investment in furniture décor. Menage Total specialized upholstery cleaning ensures that your expensive furniture is handled in great detail to remove all possible dirt and stains. 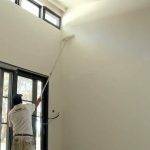 Menage Total Cleaning Services West Island enhance the overall look of your space through our chair cleaning, sofa cleaning, blind cleaning and other related upholstery cleaning services. Menage Total exclusive sofa shampoo and chair shampoo cleaning solutions delicately rinse the fiber without leaving any residues of the chemical or dirt, bringing out a refreshing smell and look of the furniture. Menage Total applies its exclusive upholstery cleaning solutions to the fabric to loosen embedded dirt. It is rinsed with the help of a machine to bring out all the dust and dirt. All moisture is sucked out of the furniture with efficient vacuum machines, making the furniture ready to be used in few hours. Menage Total Cleaning Services West Island enhances your furniture by extending its life and making it easier to care for.